Standing at 12.2 hands, “Poet” is a true embodiment of his internationally known pedigree and possesses all the most desired traits of a Welsh B stallion. His exceptional type and presence, loveable character, and athletic ability make him the ideal sport pony sire. 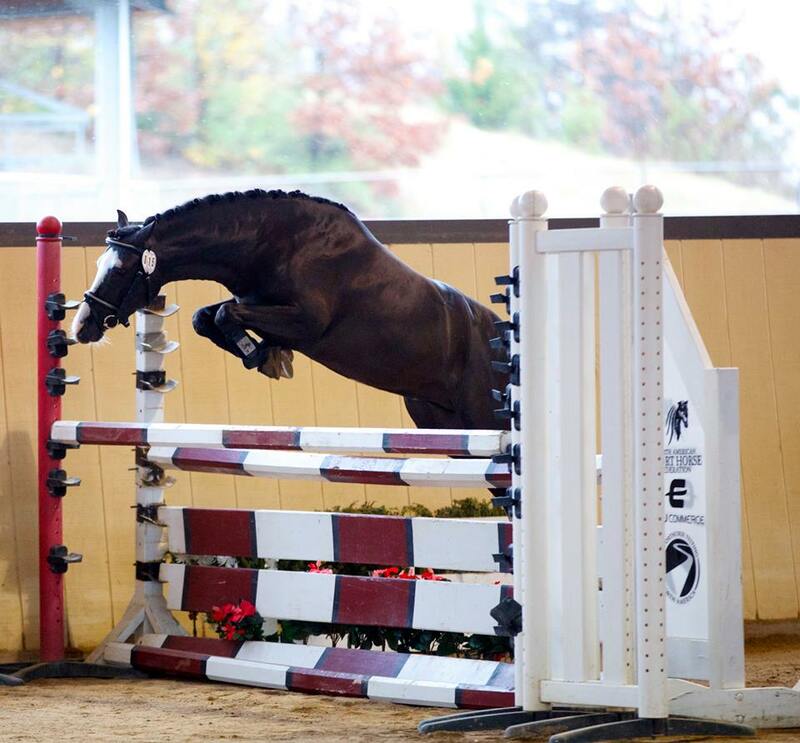 In 2015, he was the first Welsh B to successfully complete the North American Pony Stallion Testing at three years old and received impressive scores of 8.38 – jumping, 8.13 – cross country, 8 – rideability, 8.13 – interior, and 8.16 – overall. His jumping scope and technique especially impressed the judges and spectators during course jumping and when he freejumped 1.25m. He has also been genetically tested to be “smoky black”. This means he will pass on one copy of the dilute gene 50% of the time giving him the ability to sire palomino, buckskin, or smoky black foals with a non-dilute mare. Poet is the last son to be sired by Smoke Tree Spun Gold before his death in early 2013. Even though he did not have an extensive competition career himself, Spun Gold has produced several winners in the hunters, dressage, and in-hand who collectively earned him his sire LOM. Poet is out of the imported mare Smoke Tree Pentewyn, who is by Boston Bentick. Boston Bentick is internationally known and the sire of several incredible ponies, including the Royal Welsh Champion Eyarth Beau Geste, who himself sired extraordinary stallions and mares alike, who are champions all over the world. Smoke Tree Poetry In Motion is lifetime licensed with Weser-Ems, RPSI, and ISR/OLDNA.